"Well today was a cold day so I wanted to wear something warm. At the same time, I didn't want to look too wintery, I wanted to put on some flowers and spring-ish colors. That's it." Yesterday was a bad day to shoot, not because of the weather, but because people are waiting. For NYE, the new year, or just until everyone else gets back into town. Whatever the reason, there were a lot of t-shirts and jeans and a lot of all black outfits. 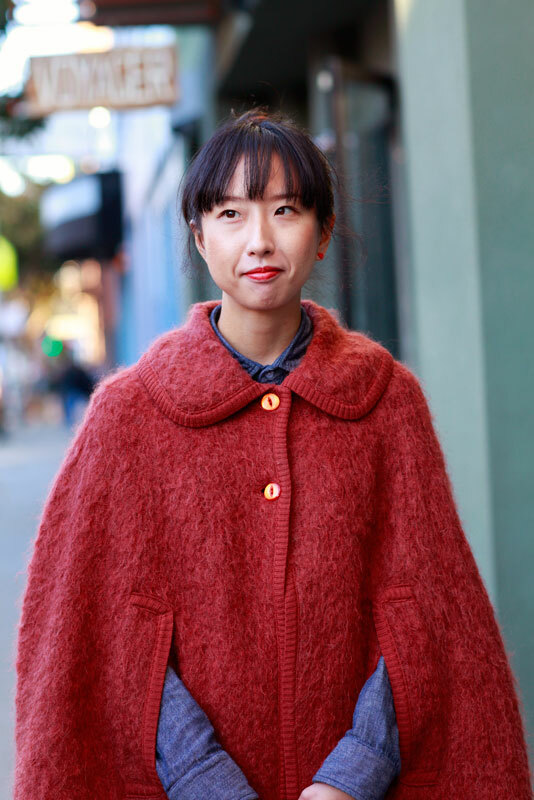 Into this bleak fashion landscape walked Emiko, with her dusky rose cape and floral she brightened everything within 50 yards. 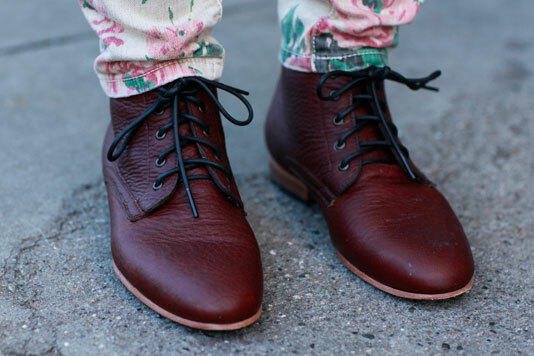 A look at her gorgeous lace-up leather booties.